Eyewitnesses affirmed to the PIC news reporter that the Palestinian woman Fadwa Abu Teir was deliberately executed by Israeli soldiers near al-Aqsa Mosque on Tuesday, stressing that she was not holding a knife. One of the eyewitnesses, who managed to reach the scene after hearing gunshots, said that Fadwa was directly hit in her eye and in the upper part of her body. She was left lying on the ground bleeding for more than half an hour before being proclaimed dead, she added. “I could see with my own eyes there was no knife on the ground,” the eyewitnesses stressed, denying the Israeli claims saying she was holding a knife. For his part, Dr. Amin Abu Ghazala said that Palestinian medical crews were prevented at first from reaching the victim. He added, “We have been then allowed to check her critical situation, and we tried to resuscitate her but it was too late. She received three bullets in her right eye and abdomen.” Local sources said the Israeli soldiers fired multiple shots at 50-year-old Fadwa Abu Teir and prevented the ambulance crew from reaching the scene to evacuate the casualty to hospital. Fadwa was reportedly left bleeding on the ground until she breathed her last. Amnesty International has earlier released a report that called into question a number of accounts in which Palestinians were shot and killed after alleged stabbing incidents. The group found that many of the cases were extrajudicial killings. Three Palestinians were shot and killed Tuesday afternoon after they carried out separate anti-occupation attacks in occupied Jerusalem, Tel Aviv, and Yafa. The three attacks resulted in the killing of one Israeli police officer and the wounding of 13 others. The first anti-occupation attack was carried out near the port in the Arab city of Yafa within the Green Line, when a Palestinian was shot dead after he stabbed to death one Israeli officer and wounded ten others. In Tel Aviv, a Palestinian was shot and killed after he stabbed and wounded an Israeli settler near Petah Tikva settlement east of Tel Aviv. Yediot Ahranot Hebrew newspaper said that an "Arab terrorist" stabbed a Jewish Israeli in his mid-30s "in the upper part of his body," leaving him with light to moderate injuries. Israeli police forces arrived at the scene and shot dead the Palestinian, the sources said, adding that Israeli forces closed the area for investigation. A video appeared in different social networking sites showed a bleeding Palestinian young man, believed to be the attacker, lying on the ground while Israeli bystanders hurl verbal abuses at him. The young man was left bleeding on the ground for long hours till he breathed his last. In occupied Jerusalem, two Israeli soldiers were seriously injured when a Palestinian fired gunshots at a group of soldiers stationed near Salah al-Din neighborhood. 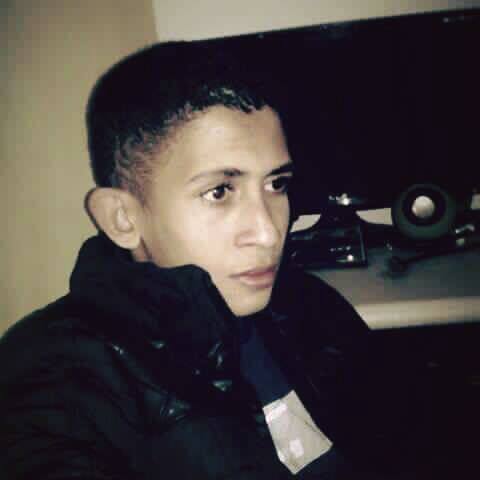 The Israeli forces opened fire at the Palestinian shooter, seriously injuring him before he was then pronounced dead. In this video, an onlooker can be heard to shout: "Die, you fucker! Die, you fucker.. die, you son of a whore! Do not call for an ambulance, let him die!" Earlier Tuesday, a Palestinian woman was fatally shot by the Israeli occupation soldiers near al-Aqsa Mosque allegedly after she attempted to stab an occupation soldier. Local sources said the Israeli soldiers fired multiple shots at 50-year-old Fadwa Ahmad Abu Teir and prevented the ambulance crew from reaching the scene to evacuate the casualty to hospital. 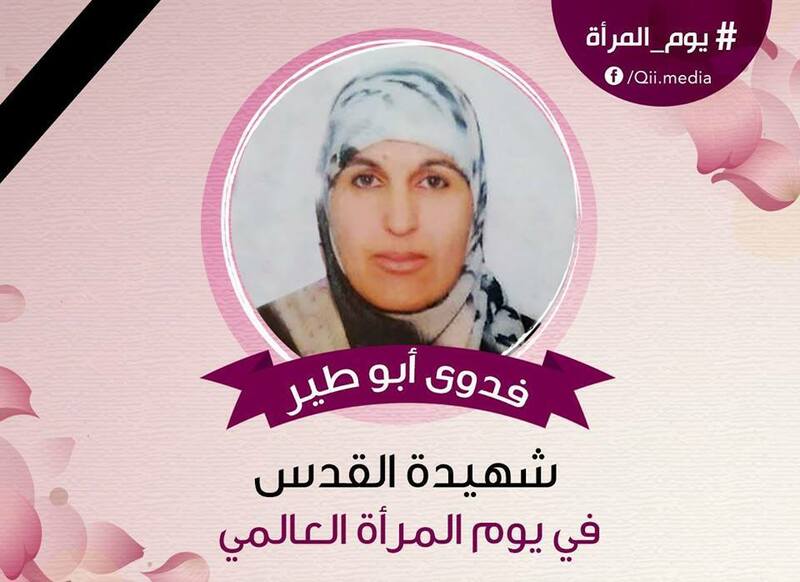 Fadwa was reportedly left bleeding on the ground until she breathed her last. children and nine women. 450 Palestinians were also injured by Israeli forces and settlers during the same period. Three Palestinians were shot dead after they allegedly carried out separate attacks in Israel and occupied East Jerusalem, killing one American tourist and wounding at least 12 Israelis, on Tuesday afternoon and evening. Al-Samri said that an "Arab terrorist" stabbed a Jewish Israeli in his mid-30s "in the upper part of his body," leaving him with light to moderate injuries. Later, Israeli daily Haaretz identified the Palestinian as Abd Al-Rahman Radad, 17, from the Auja village in the eastern occupied West Bank district of Jericho. Audio translation: "In the head, shoot him in the head, brother! All respect, you are a king! Like that! In the head!" Then another voice can be heard: "If he is lying on the ground, why don't you shoot him directly?" fighting for his life, while the other, 31, was in moderate condition. 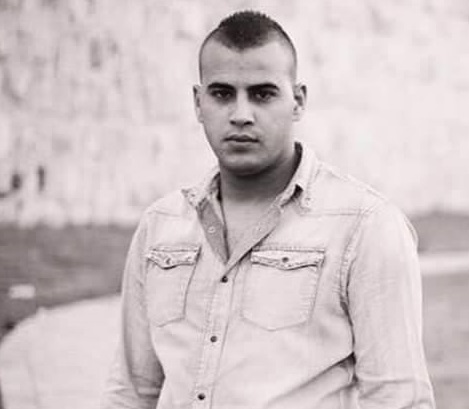 Israeli police later identified the Palestinian as a 22-year-old from the city of Qalqiliya in the occupied West Bank. However Haaretz reported that the 22-year-old had been identified as Bashar Masalha from the village of al-Zawiya in the Jenin district. A Palestinian woman was fatally shot by the Israeli occupation soldiers on Tuesday morning near Muslims' the holy al-Aqsa Mosque allegedly after she attempted to stab an occupation soldier. Local sources said the Israeli soldiers fired multiple shots at 50-year-old Fadwa Ahmad Abu Teir and prevented the ambulance crew from reaching the scene to evacuate the casualty to hospital. Fadwa was reportedly left bleeding on the ground until she breathed her last. Eyewitnesses said the occupation army sealed off the scene and imposed a security cordon on Jerusalem's Old City. Israeli police spokeswoman Luba Sumari claimed the lady was shot dead after she attempted to carry out an anti-occupation stabbing attack in the area. Earlier, overnight Monday, the IOF kidnapped 42-year-old Ruweida Fawzi Mweis from Abu Dis town, in eastern Occupied Jerusalem. Israeli soldiers killed, Tuesday, a Palestinian woman in Jerusalem’s Old City after the army alleged her “attempted to stab soldiers.” The soldiers prevented Palestinian medics from approaching the seriously injured woman, who died of her wounds. 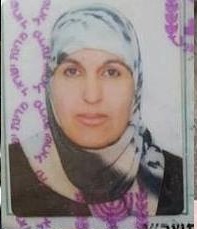 The woman, Fadwa Ahmad Mohammad Abu Teir, 50, from Um Touba village south of occupied Jerusalem, was killed in the al-Wad Street, in the Old City. Abu Teir is a married mother of five children, three boys and two girls. Israeli sources claimed that the woman “pulled a knife and attempted to stab a soldier,” before the army “neutralized her,” according to the Israeli military terminology used to refer to killing, or disabling Palestinians. The woman was later moved to an Israeli hospital where she died of her serious wounds. A Palestinian physician said the soldiers closed the area, and prevented Palestinian medics and doctors from even approaching the seriously wounded woman, and left her bleeding. The Israeli Occupation Forces (IOF) shot and killed Friday morning a Palestinian young woman near Gush Etzion crossing to the south of Bethlehem for allegedly ramming her car into Israeli soldiers stationed there. Israeli media sources claimed that the young woman rammed a car with Israeli-registered yellow plate into a group of soldiers stationed at Gush Etzion crossing, slightly injuring one of them. The Israeli forces opened heavy fire towards the driver, killing her on the scene. Eyewitnesses affirmed that the young woman was left bleeding for hours without providing her with any medical assistance. Palestinian Health Ministry didn’t yet comment on the incident. Since the outbreak of Jerusalem Intifada, Israeli occupation forces have committed a series of unlawful killings of Palestinians using intentional lethal force without justification, Amnesty International said based on the findings of a research trip to the West Bank, including East Jerusalem. The organization documented in depth at least four incidents in which Palestinians were deliberately shot dead by Israeli forces when they posed no imminent threat to life, in what appear to have been extrajudicial executions. More than 180 Palestinians have now been killed since the beginning of October, and the UN warned recently that the violence showed "no signs of relenting." Israeli soldiers killed, on Friday morning, a Palestinian woman driving her car close to the Gush Etzion settlement block, on the main Bethlehem-Hebron road, south of Bethlehem. One Palestinian died in a tunnel accident in the Gaza Strip. 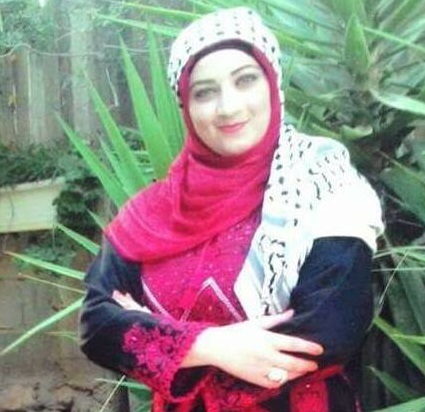 The Israeli army claims that Amani Hosni Jawad Sabateen, 34, from Husan town west of Bethlehem, tried to ram soldiers with her car, and that one officer was mildly wounded before the army shot her dead. The wounded officer was moved to Shaare Zedek Hospital in Jerusalem. Local sources said the soldiers fired many rounds of live ammunition on the car, especially the front shield, fatally wounding the woman with several bullets. The slain woman is a married mother of five children. The Israeli army closed all roads leading to Husan town, directly after killing the woman, and placed various concrete blocks, on the western and eastern roads leading to the town, and placed sand hills, completely isolating the town. In related news, medical sources in Gaza said a young man was killed, on Thursday evening, after a siege-busting tunnel collapsed on him, suffocating him under the rubble. The sources identified the deceased Palestinian as Mohammad Mousa al-Astal, 31, from the al-Mawasi area, west of Khan Younis, in the southern part of the Gaza Strip. It is worth mentioning that the soldiers have killed many Palestinians, under similar allegations of trying to ram soldiers with their cars, despite eyewitness accounts of accidental incidents that eventually led to fatal shootings. One of them is Mahdiyya Mohammad Ibrahim Hammad, 38, a married mother of four children, from Silwad town, near Ramallah. Another woman, identified as Tharwat Ibrahim Salman Sha’rawi, 72, was killed under similar circumstances, in Hebron. Israeli soldiers shot and killed, on Wednesday morning, two Palestinians in the Eli illegal Israeli settlement, south of the northern West Bank city of Nablus, allegedly after they attempted to stab a soldier. Israeli daily Haaretz said the soldier suffered a mild injury after being attacked by two Palestinians, who infiltrated into the colony, and that the two were shot and killed by Israeli soldiers while attempting to flee the scene. The army said the two reportedly waited outside of a home in the settlement, carrying a knife and batons; a reserve Israeli soldier, in full military uniform, stepped out of the home before they attacked him. The settler-soldier suffered a mild injury. The soldier then stepped back into his home, and called for help, before the soldiers rushed to the scene and killed the two Palestinians. The army claimed that the soldiers located a knife near the soldier’s home, and also found a pistol, outside the settlement, during a search campaign. 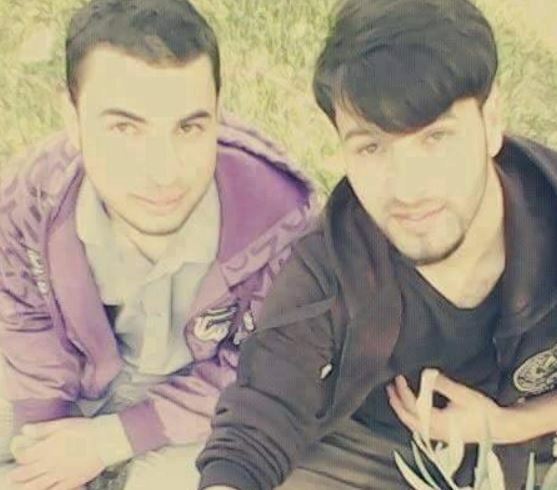 The Palestinian Health Ministry said the two slain Palestinians have been identified Labeeb Khaldoun Azzam, 17, and Mohammad Hisham Zaghlawan, 17, from Qaryout village, south of Nablus. The two left their homes on Tuesday evening, and never returned; their families and other villagers looked for them all night long until they heard the news of their death. 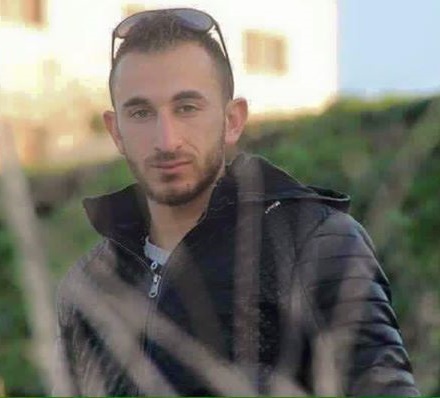 A Palestinian journalist was killed while 11 local youths were injured as clashes broke out late Monday till dawn Tuesday in Qalandia refugee camp to the north of occupied Jerusalem. 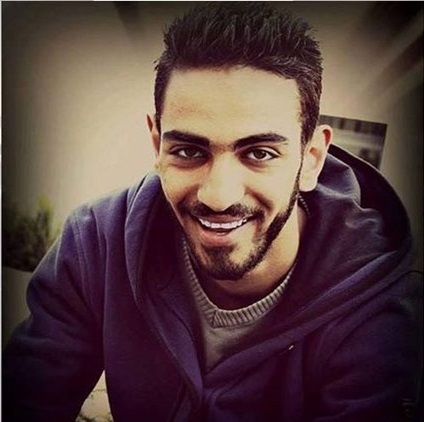 Qalandia media center affirmed that the journalist Iyad Sajdia, 22, was killed while 11 other youths suffered live shot injuries, one of them was critically wounded after Israeli occupation forces (IOF) stormed the camp in large numbers. Nearly 1500 IOF soldiers broke into the camp amid heavy flights of Israeli helicopters over the area which led to the outbreak of violent clashes that lasted till the early morning hours. Rubber bullets and teargas bombs were heavily fired during the clashes. The Israeli military operation came after two Israeli soldiers went missing in the refugee camp after being targeted in their jeep with Molotov cocktails. A security cordon was imposed on the refugee camp before being declared a closed military zone. Israeli police spokeswoman Luba Sumri said that five Israeli soldiers were moderately and slightly injured during the military operation. Three soldiers were earlier reported injured when an Israeli jeep was targeted with Molotov cocktails. A Palestinian was shot dead Friday after reportedly attempting to stab Israeli soldiers stationed near the occupied West Bank city of Ramallah, the Israeli army said. An Israeli army spokesperson told Ma’an: “A Palestinian assailant armed with a knife attempted to stab soldiers stationed at a security crossing.” Forces on site then “thwarted the attack,” opening fire and killing the Palestinian, the spokesperson said. The death was confirmed by the Palestinian Ministry of Health, which identified the Palestinian as Mahmoud Muhammad Ali Shalaan, 17, from the village of Deir Dibwan east of Ramallah. The incident comes shortly after an Israeli security guard was stabbed several times and critically injured inside of the illegal Maale Adumim settlement overnight Thursday by a Palestinian who reportedly fled the scene. Hours before, a 5-year-old Palestinian was killed when an Israeli ordnance exploded in the Gaza Strip, left behind from Israel’s 2014 offensive. Israeli military forces regularly stationed at the illegal Beit El settlement nearby where Friday’s reported attack took place has been site to a number of violent confrontations in recent months. The Israeli military sealed Ramallah last month after a member of the Palestinian Authority’s security forces shot and injured three Israeli soldiers at a Beit El military checkpoint before being shot dead. The West Bank hub was then sealed for two straight days, blocking entry and exit to thousands of Palestinians in a move locals said was collective punishment. Unrest in the occupied Palestinian territory has been ongoing since October, marked by a wave of small-scale attacks carried out by Palestinians, the majority directed at Israeli military targets. Recent violence has left at least 180 Palestinians and more than 25 Israelis dead. Israeli soldiers shot and killed, on Friday, a Palestinian-American teen, from Deir Dibwan town, east of the central West Bank city of Ramallah. Dozens of Palestinians have been injured in different parts of the occupied West Bank and the Gaza Strip. Palestinian medical sources said the slain child has been identified as Mahmoud Mohammad Ali Sha’lan, 17, and that he was shot near the Beit El Israeli colony and security center, built on Palestinian lands, north of Ramallah. The army held the body of the slain teen, and handed it later to the Palestinians side, before it was moved to the Palestine Medical Center in Ramallah. Sha’lan was shot with many live rounds to various parts of his body and was left to bleed to death. His funeral will likely be held Sunday after the Palestinian side conducts an autopsy in the forensic center of the al-Quds Abu Dis University. 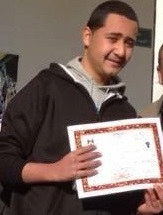 The slain teen is a Palestinian with American citizenship. On Friday evening, a Palestinian teen was shot with a rubber-coated steel bullet, and many others suffered the effects of tear gas inhalation, after the soldiers invaded the Silwad town, east of Ramallah, from its western part, and fired gas bombs, sponge-tipped bullets, rubber-coated steel bullets and concussion grenades; many residents suffered the effects of tear gas inhalation. Local sources said the soldiers deliberately fire gas bombs at several homes and in the areas of clashes. Friday also witnessed clashes in different parts of the occupied West Bank and the besieged Gaza Strip, leading to the injury of seventy Palestinians, six of them in the Gaza Strip, and 64 in the West Bank. In Gaza, two Palestinians were shot with live Israeli army rounds, three suffered the effects of teargas inhalation and one suffered fractures and bruises. The Israeli navy also opened fire on several Palestinian fishing boats, in Gaza territorial waters, causing excessive damage. In the West Bank, the soldiers shot and injured at least 64 Palestinians, while undercover soldiers have kidnapped four Palestinians close to the Shu’fat military roadblock, in occupied Jerusalem. One of the kidnapped children has been identified as Abed Mohammad al-Bahri, 15. Clashes took place in different parts of occupied Jerusalem; the army fired rubber-coated steel bullets, wounding 16 Palestinians, and gas bombs causing at least 13 others to suffer the effects of teargas inhalation. Medical sources in Nablus said one Palestinian was injured after a group of Israeli extremists attacked him near the Yitzhar illegal colony, built on Palestinian lands, south of Nablus. In Jenin, in the northern part of the occupied West Bank, the soldiers clashed with dozens of local youths near the Jaba’ Junction, south of the city. Medical sources said scores of residents suffered the effects of tear gas inhalation. The soldiers also assaulted dozens of Palestinians, marking the 22nd anniversary of the Ibrahimi Mosque massacre, in the southern West Bank city of Hebron. Five-year-old Palestinian boy was killed and his six-year-old brother was badly injured in an explosion in the northern Gaza Strip on Thursday night. The blast in Jabaliya refugee camp was caused by unexploded Israeli ordnance from the 2014 Gaza war, according to different news reports. 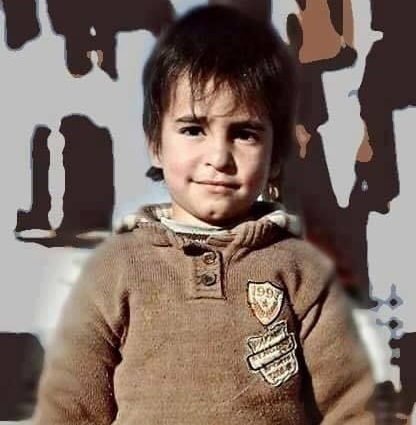 The child killed in the blast was named Suhayb Saker. A Palestinian child was killed and another seriously injured, today, after an explosive device detonated in the Jabalia area of the northern Gaza Strip. The children were identified, respectively, as Soheib Mohajid Saqr, aged 5, and his brother, Mos'ab, aged 6, both from Jabalia. Sources said, according to Ma'an, that the injured child was taken to the Indonesian Hospital in northern Gaza Strip for treatment.